First Presbyterian Church of Littleton, April 27, 1:00 p.m.
Come be uplifted, comforted, and inspired. Such is the power of the sacred songs called Spirituals. 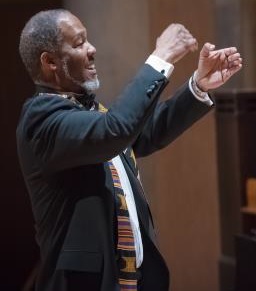 The Spirituals Project Choir will perform various arrangements of the music of Spirituals, which were created and first sung by enslaved Africans in America in the 18th and 19th centuries. The Choir is the public ambassador for The Spirituals Project, which was founded in 1998 to preserve and revitalize the music and teachings of Spirituals.